According to OSHA, a "cleanup operation" is an operation where hazardous substances are removed, contained, incinerated, neutralized, stabilized, cleared-up, or in any other manner processed or handled with the goal of making the site safer for people or the environment. All employees working on sites with cleanup operations covered by the HAZWOPER standard must receive training if they are exposed to hazardous substances, health hazards, or safety hazards. General waste site workers (such as equipment operators, general laborers and supervisory personnel) engaged in hazardous substance removal or other activities that expose or potentially expose workers to hazardous substances and health hazards must receive a minimum of 40 hours of initial instruction off the site, and a minimum of three days actual field experience under the direct supervision of a trained, experienced supervisor. Try this HAZWOPER training now! 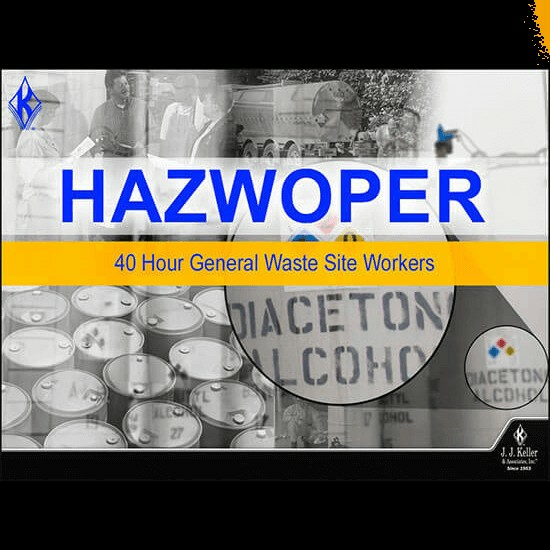 Thank you for your interest in previewing the HAZWOPER: 40-Hour Initial Training: General Waste Site Workers Curriculum. Please register or log in to watch free previews, browse the course library, purchase training points, and more. Get started now with the HAZWOPER: 40-Hour Initial Training!